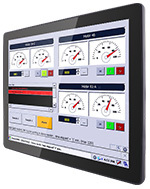 The 15-inch was added to the Winmate Multi-touch Chassis series of Industrial PCs and Displays. 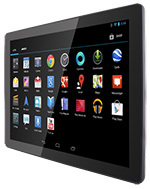 The 15-inch uses a plastic enclosure and a flat front surface. An enhanced 1024 x 768 P-Cap display makes the unit especially suitable for POS and POI deployment that benefits from a Multi-touch design. 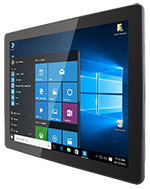 The R15L100-PTC3 (for display), R15IB3S-PTC3 (for Windows based panel pc), and R15FA3S-PTC3 (for Android 6.0 based panel pc) are relatively compact and “slim” for a panel computer, 13.87 x 10.8 x 1.77 inches, sealing is IP65 for the front panel. 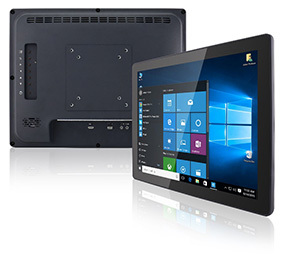 The 15” Multi-touch Chassis can be ordered with Intel Bay Trail-M N2930 1.83GHz and Freescale i.MX6 Dual Core, Plenty of I/Os these allow for easy, flexible integration of various peripheral devices in the different application. Copyright 1996-2017 WinMate Inc. All Rights Reserved.